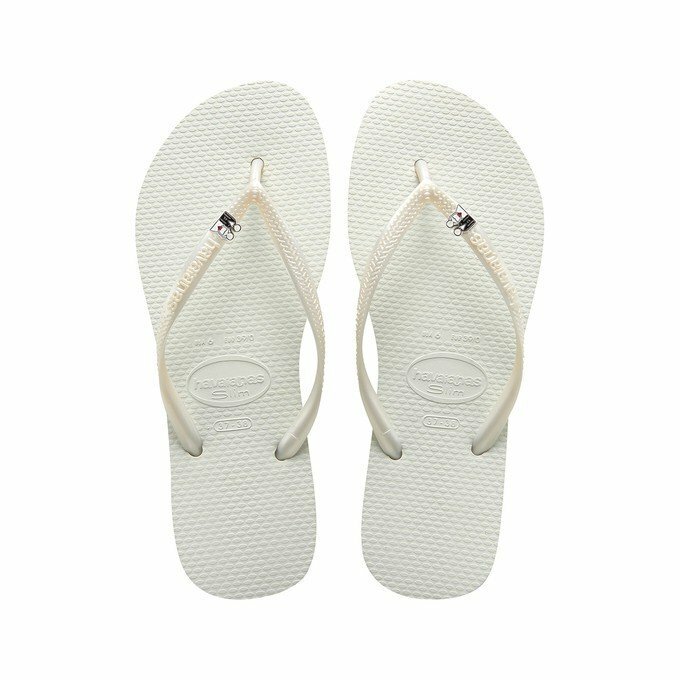 This is our special model for weddings with Havaianas Slim just for women. It is available in white and it comes pre customized with 3 exclusive wedding pins of your choice. Your guests will be happy to receive this amazing gift and will be able to party all day long! This special order will take between 1 and 2 months to be delivered, so please allow plenty of time before the big day!